The Manitoba Home Builders' Association is celebrating 75 years. 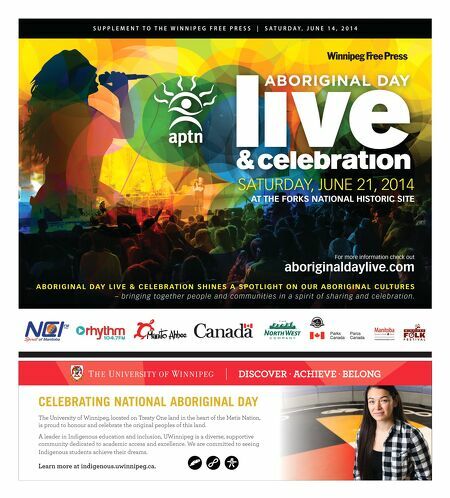 aboriginaldaylive.com 1 CELEBRATINGNATIONALABORIGINALDAY TheUniversityofWinnipeg,locatedonTreatyOnelandintheheartoftheMetisNation, isproudtohonourandcelebratetheoriginalpeoplesofthisland. AleaderinIndigenouseducationandinclusion,UWinnipegisadiverse,supportive communitydedicatedtoacademicaccessandexcellence.Wearecommittedtoseeing Indigenousstudentsachievetheirdreams. Learnmoreatindigenous.uwinnipeg.ca.